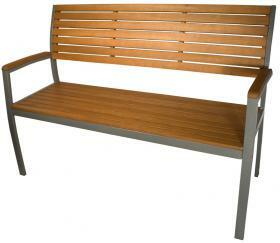 The perfect combination of crisp powder coated steel with the warmth of wood in just the right places. An expression of clean-line modern design in an inviting, approachable piece. Comfortably seats three adults.